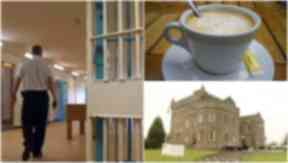 The HMP Castle Huntly convicts can gain fully accredited qualifications. Cafe culture: Prisoners are receiving training to work in coffee shops. 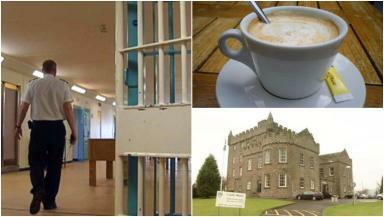 Prisoners are getting barista training at a specially built cafe in Scotland's open jail. A group of inmates at HMP Castle Huntly are getting the opportunity to gain qualifications and practical experience in barista skills. The project by the Springboard Charity offers prisoners training in both employability skills as well as their fully accredited barista qualifications. The training takes place at a specially built cafe in the prison. The aim of programme is to increase prisoners' job opportunities on release, decrease re-offending rates and encourage active citizenship. Opportunities are also available for prisoners to go on work placements at local cafes and coffee shops as part of the experience. HMP Castle Huntly's head of offender outcomes Mary Stewart said: "This scheme to better prepare offenders with qualifications for gaining employment has gotten off to a great start. "Springboard have been overwhelmed with those wishing to train, and from the original group now out in the community working, the feedback on their skills and work ethos has been nothing short of amazing. "The value to the public of this initiative, is a returning citizen contributing positively to society, with the ultimate aim of a reduction in reoffending." Kelly Johnstone, Springboard Scotland director, said: "We are delighted to be working alongside SPS and Zest on this project which will enable the local team to provide excellent training and work experience for the prisoners. "The project sits well in our overall objectives of helping people into work, relieving unemployment and poverty. Particularly within this group we are hoping they will break the cycle of reoffending"